The Land of the Fanns Landscape Partnership has secured £1.3million from the Heritage Lottery Fund to deliver a 5 year, £2.4m programme to discover, celebrate and restore one of the last remaining landscapes of London as it once was. Located on the edge of east London and south-west Essex this exciting new project will build on the landscape regeneration story of Thames Chase Community Forest established in 1990. As part of a brand new team, these roles are key to the success of the project. 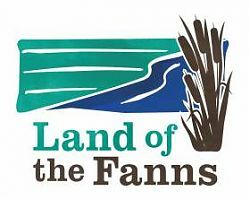 Through delivery of 26 individual projects, the Land of the Fanns Scheme aims to develop a renewed understanding and appreciation of the local landscape, revealing its hidden treasures of natural, geological, built and archaeological heritage to a wider audience. The ultimate goal is that partners and communities will be better placed to champion it long after the scheme ends. If you think you would like to play a part in taking this innovative scheme forward, then the project looks forward to receiving your application. Please submit a CV and covering letter, which should reflect the person specification in the application pack, to Thames Chase. For further information and to download an application pack, please visit the website.